Once you do all these things and see a bit of progress, it’s time to resort to medical care. Just give them assurance that it does not mean that they will seek help from a medical professional so mean to say that they are seriously ill. Make them understand that people can understand them better and want nothing but the best for them and that is the main reason why you want them to be treated with a professional level. 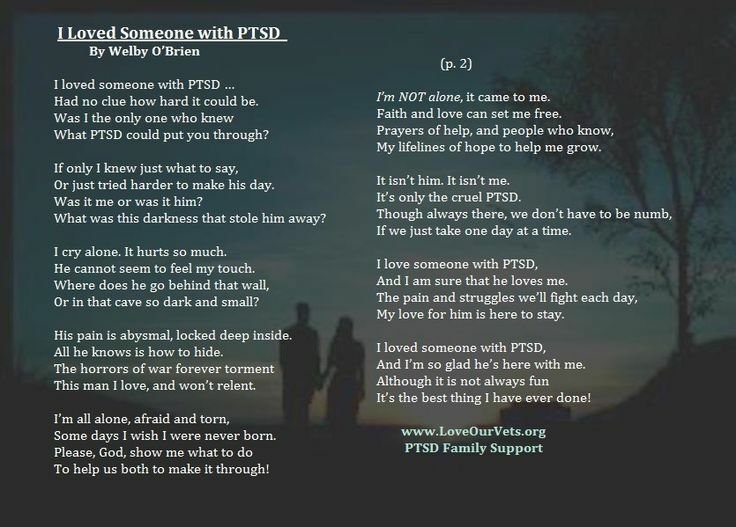 Dating with PTSD can be emotionally draining but if you really love someone, you have to believe in your heart that they will get better and that you are the right person to help them. Roads could be wrong but there is definitely life after PTSD as you go through this together.